← Accidental Tourist or Intentional Traveler? When was the last time you had either of those thoughts? A few times in our lives we might arrive someplace and say these very words. Occasionally the thought takes us by surprise. Other times it marks a long-awaited moment which has finally arrived. Which has it been for you? 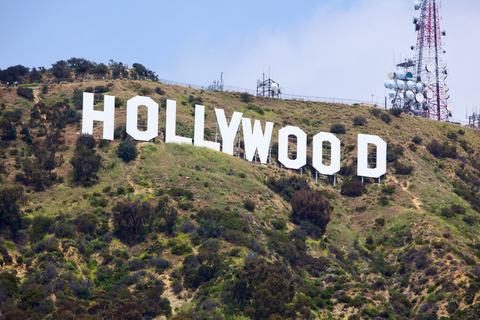 The first time I saw the Hollywood sign on a bluff above downtown Los Angeles I was surprised at how it affected me. First I was almost surprised to see that it really does look kind of crooked, just as all the pictures show. Then I laughed that this sighting made such an impression on me. Who knew that I had been so imprinted with this icon of “modern times”? whom I had never really met. Flatlanders who have never seen the ocean might feel this way the first time they see the wide open sea. My first sightings of the Pacific were from San Francisco, but more memorable were the first touch and taste of the icy waves on a beach in northern California. On the other hand, émigrés who have been at sea for a very long time with only vague estimates of when they might see their destination must have far greater exhilaration and relief learning that they really have arrived safe on land. The Jamestown settlers and the passengers on the Mayflower had little knowledge of the homes they were approaching. Centuries later refugees leaving Cuba or Southeast Asia in small boats had clear knowledge what they were leaving. Their destinations were less clear but the desire to arrive was just as urgent as if they knew their goals intimately. Sometimes entire cities take on an elevated status for dreamers, armchair travelers, or pilgrims. The Three Sisters in Chekov’s play repeatedly talk of returning to Moscow — where life was once better and could be good again, couldn’t it? 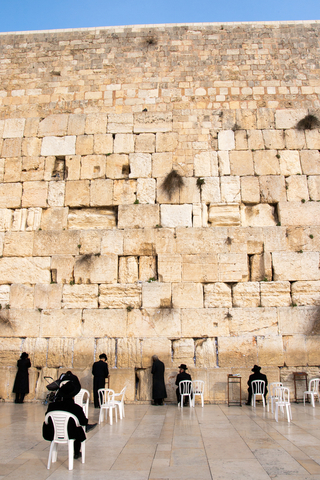 The Western Wall has received centuries of appeals, both spoken and written. The Passover Seder concludes with the words “next year in Jerusalem.” This certainly is a phrase worth “unpacking” as a friend says. As part of an annual religious ritual the idea carries much more significance than the implication that one should buy airplane tickets to Tel Aviv for next April. It can mean not just next year but all years, forever. It can express a hope not only for the well-being of the beleaguered city called Jerusalem but a hope for a united community of faith, living as they have been called to live. Yet Jerusalem is a real city, not just a metaphor. When I visited I was mindful of the stories it has hosted for centuries, presented to us by scribes, newscasters and cinema. Standing at the Western Wall, seeing prayer papers wedged into cracks, I felt the yearnings of the ages swirling around me. The sparrows flitted above me, resting in the scrubby bushes growing out from between stones higher up. This was real, and I was there! Arriving someplace can make the earth rumble for you, or it can make you giggle. I’m really here. When you find yourself arriving, take the time to absorb the moment, to really live it for future recall. Which arrivals have made you stand still and notice? I would love to hear your stories. This entry was posted in Travel, Uncategorized and tagged arriving, Hollywood, Jerusalem, Moscow, ocean, Passover Seder, refugee, travel. Bookmark the permalink.